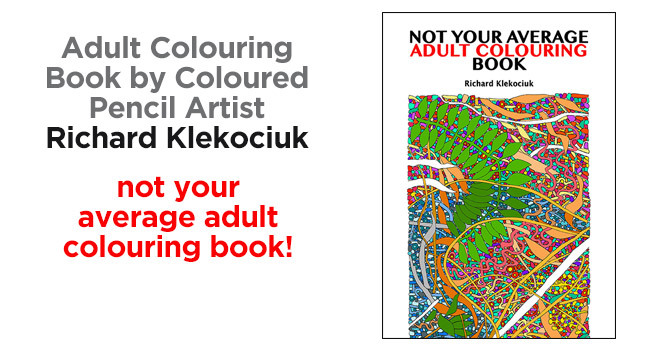 Very happy to be showcasing today on of our fabulous ACPN supporters and coloured pencil artist Richard Klekociuk has published an adult colouring book which is just that bit different! As the title implies, this adult colouring book is far from average! Designed and produced in Tasmania, the book features heavyweight acid-free paper, ideal for framing. Are you up to the challenge? RRP: $24.95, but if you order through the author, Richard Klekociuk, you can have it posted anywhere in Australia for a total of $28.